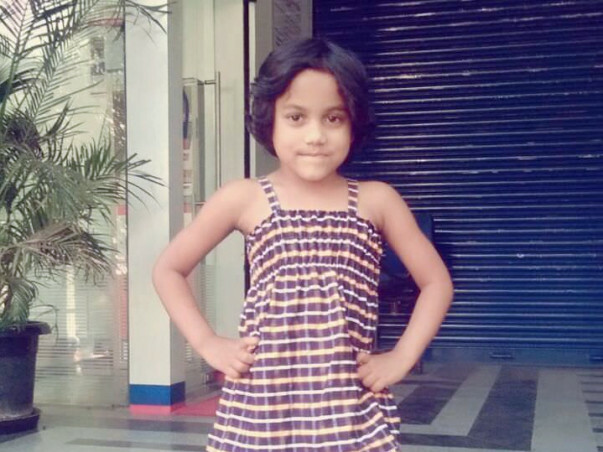 Ashiya is 5 years old and has had a difficult journey so far. 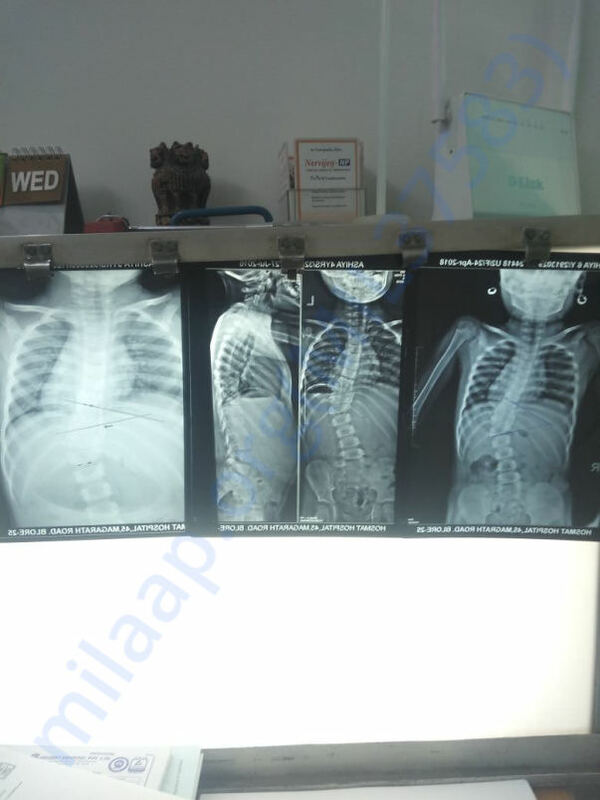 She was diagnosed with Congenital scoliosis. Congenital scoliosis is a spinal deformity in which a sideways curvature of the spine is caused by a defect present at birth. 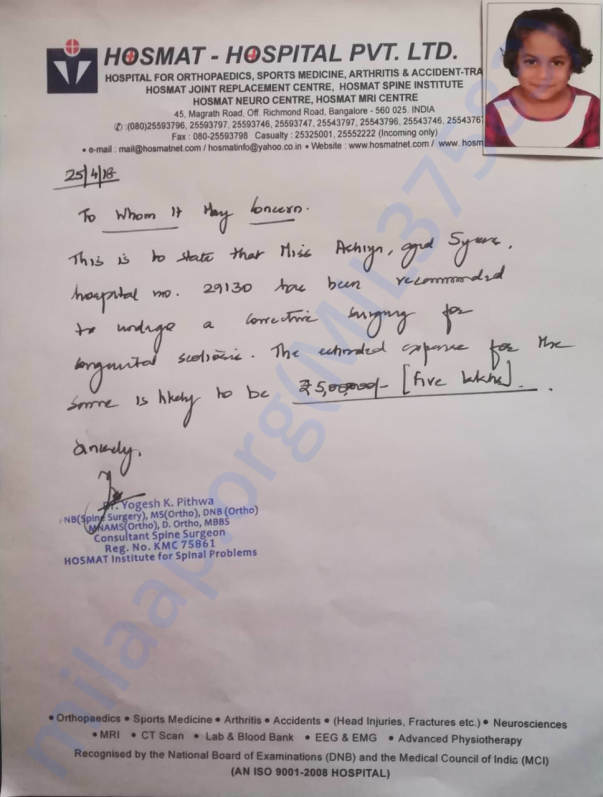 She had great difficulty walking when she was younger and In 2015, she underwent corrective surgery on her leg at Hosmat Hospital, Bengaluru to help with the condition. 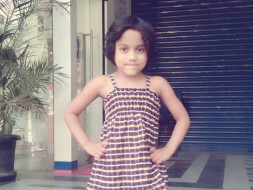 At that time, the family was told that she would need to undergo spinal surgery in her teens to fully correct her condition. However the rate of bend in her back bone has increased significantly over the last couple of years. It will lead to breathing problems and make her small body sink. 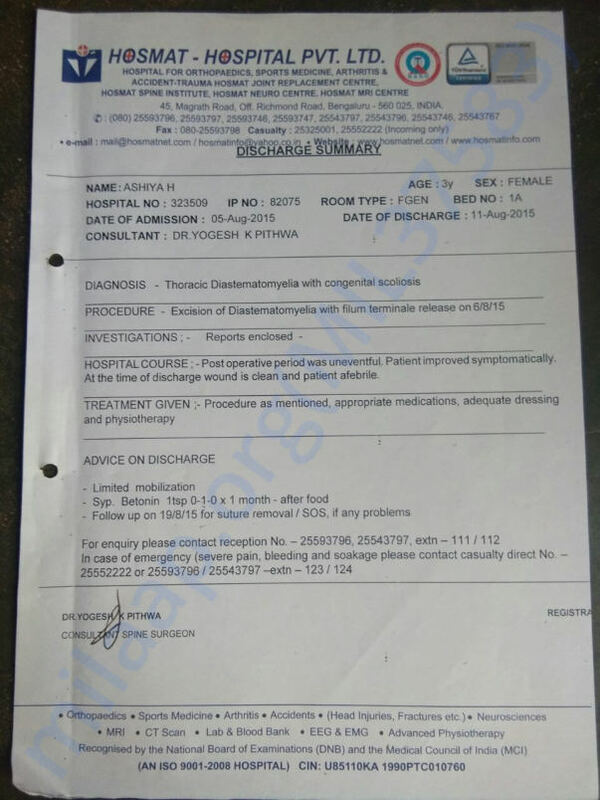 Her doctor at Hosmat Hospital has said that the spinal surgery should be performed in the next few weeks. The surgery cost is Rs. 5 lacs and the family does not have the means to arrange for that amount. Hence on behalf of the family we are reaching out to the community to help. Even a small amount will go a long way so please do what you can! Thanks a ton for all your support! Ashiya will be undergoing surgery today. It would not have been possible without your help! We will keep you posted on her health!